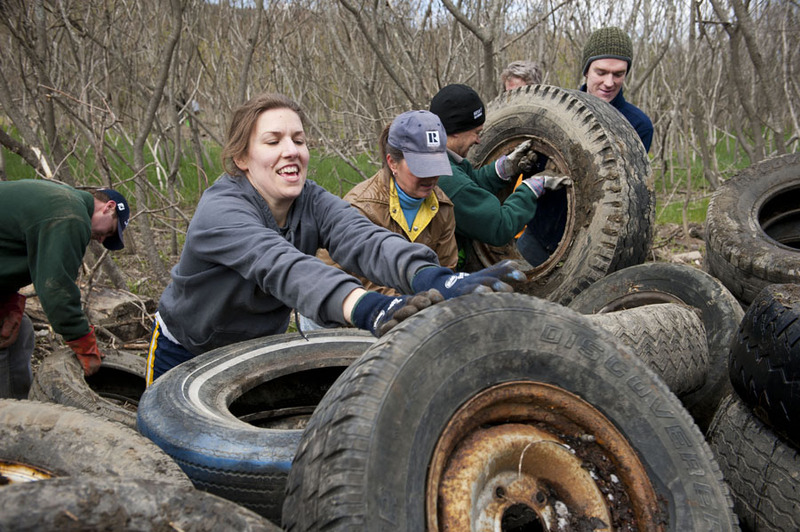 A group of volunteers gathered in Waterbury Vermont a week before Green-up Day to tackle an immense task: remove around 1500 tires and other debris deposited along the banks of the Winooski River near the Cider House Restaurant on Rout 2 in Waterbury. 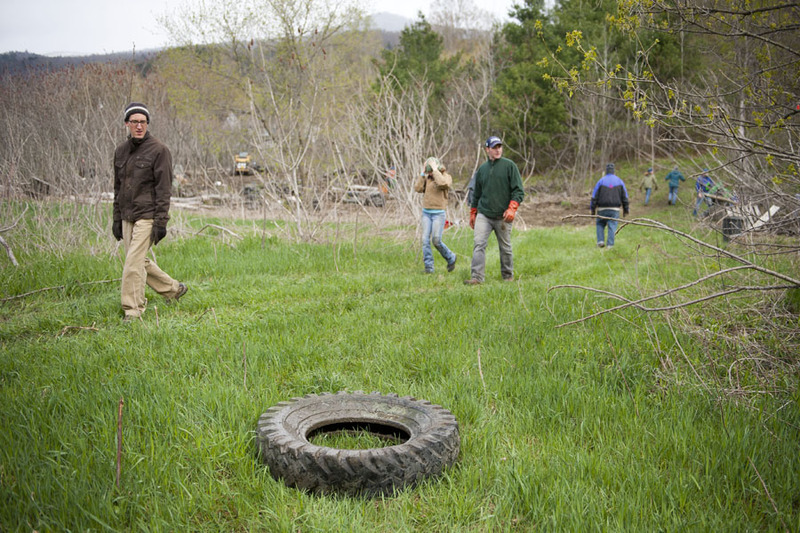 Volunteers walk past a tire in the field on their way to collect more tires and other debris on the river bank Cleaning up a little early in Waterbury. 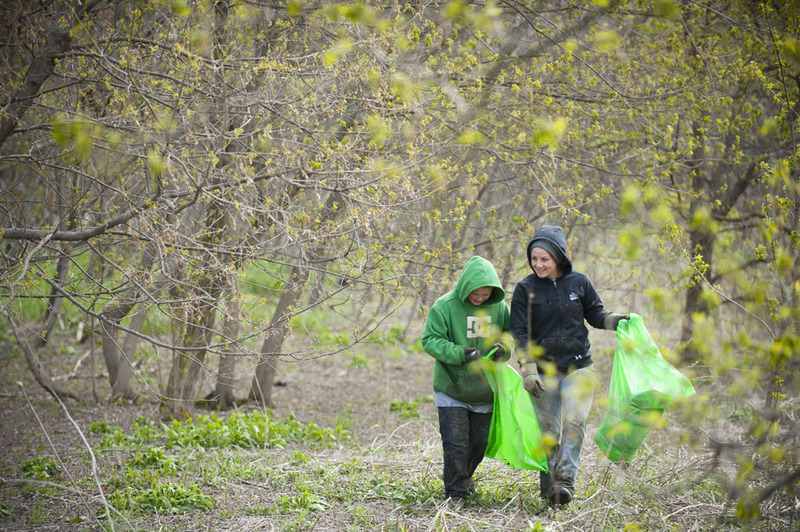 Kai White and Stacia Melick of Bolton gather trash. 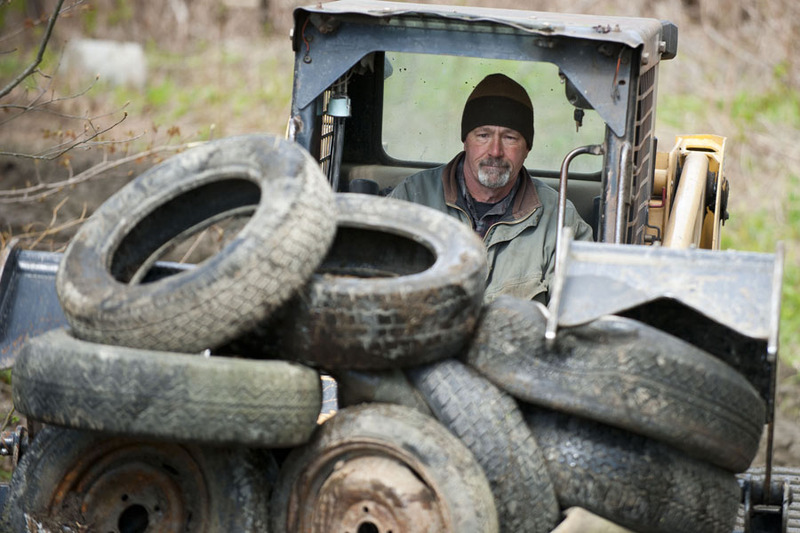 John Farr of Farr Tree Service drives a skidder carrying tires up a hill to a collection site just off the road. 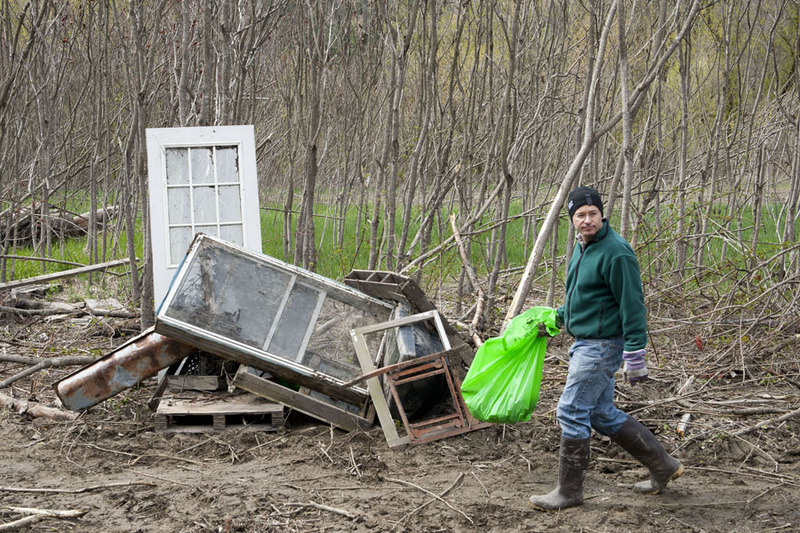 Dave Rapaport walks past a pile of doors and windows that the volunteers recovered during their morning clean-up.